To provide a statewide association of individuals who are interested in the improvement of their skills needed for financial support of the programs as currently set forth by the State of Wisconsin Statues 46.15, 51.42 & 51.437 or as my be revised by State Legislation or as may be revised by the State of Wisconsin. Becoming a member of the Association is established by attending a WHSFMA Annual Conference. 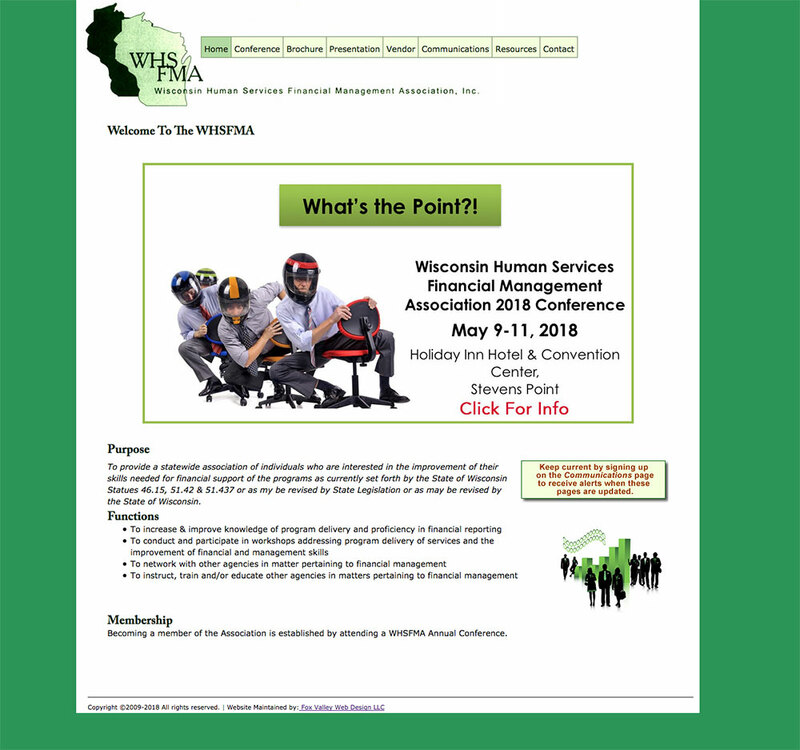 Wisconsin Human Services Financial Management Association, Inc.